Las Vegas, America’s driest desert city, is home to a man-made urban forest worthy of at least some national attention. Las Vegas' urban forest is bigger than you might think. When famed naturalist John Muir described forests as “the clearest way into the universe,” he probably wasn’t thinking of Las Vegas. But America’s driest desert city is home to a man-made urban forest worthy of at least some national attention. Las Vegas is one of 100 metropolitan areas the U.S. Forest Service hopes to one day add to its annual Forest Inventory and Analysis, an exhaustive nationwide tree tally and health assessment. Federal foresters have been conducting the inventory in rural America since the 1930s, but Congress called for the effort to be expanded to cities as part of the 2014 farm bill. “For us, it’s about getting a better understanding of trees, be they in natural forests or landscaped ones,” said Michael Wilson, inventory and analysis program manager at the Rocky Mountain Research Station, which oversees Nevada. Mark Majewsky is a supervisory forester at the Forest Service’s Northern Research Station and a team leader for the urban inventory effort. While it’s easy for people to appreciate the value of trees when they’re standing in the middle of a “traditional forest,” he said, city trees often get overlooked. “But those trees still provide what we call ‘ecosystem services,’” Majewsky said, namely cleaner air, shadier streets, cooler buildings, smaller floods and higher property values. And since roughly 80 percent of Americans live in cities, the urban forest might be the only forest some people ever experience. The annual inventory involves the establishment of scientific plots and the collection of samples from 200 randomly selected locations to determine the type, size and relative condition of the trees in a given area. Those sites on public and private land are then rechecked in subsequent years so any changes can be noted. “Our whole purpose is to be able to track forest health over time,” Majewsky said. In the process, foresters hope to quantify some of the benefits trees provide beyond “cords and boards and two-by-fours,” he said. 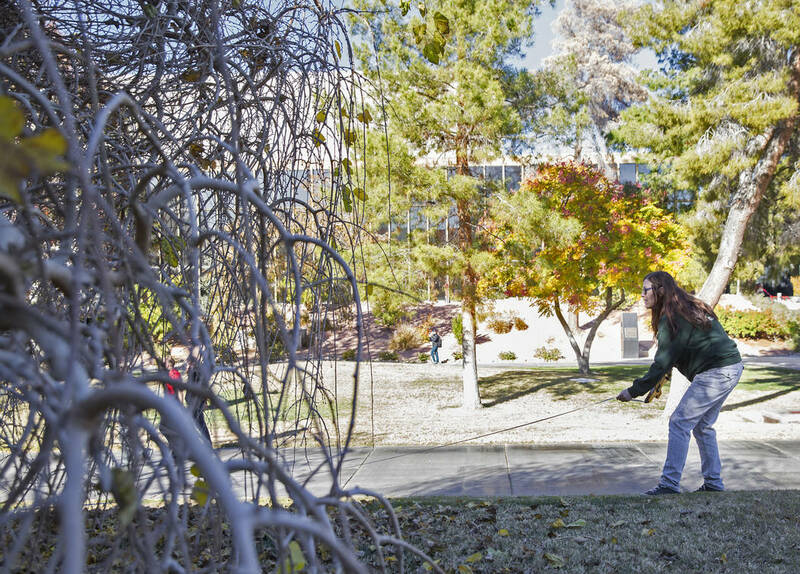 Las Vegas’ urban forest is bigger than you might think. 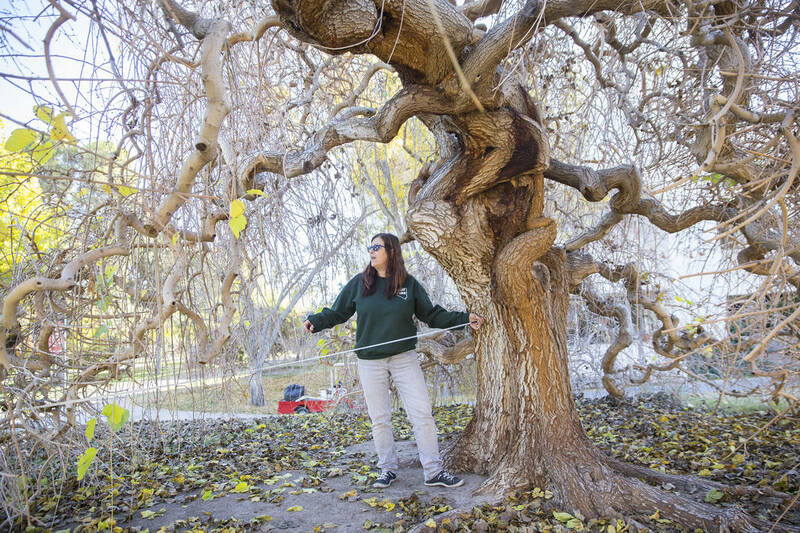 In 2013, the Nevada Division of Forestry released a detailed inventory that cataloged more than 117,000 individual trees from 262 different species on publicly owned property in the Las Vegas Valley, Boulder City and Mesquite. Those city trees carried a replacement value of $276 million while producing environmental benefits worth about $3.9 million a year, the state inventory showed. That’s not bad for a forest that is almost entirely man-made. “In the East, urban forests were carved out of natural forests. Out in the West, we create an urban forest where there wasn’t a forest before,” Wilson said. Despite the four-year-old congressional mandate, only a handful of cities have been fully inventoried so far, though Majewsky said the Forest Service is “now operating with boots on the ground” in 35 other cities in 24 states. Baltimore, Houston and Austin, Texas, were the first to have their urban forests analyzed. Progress is also being made in San Diego and Portland, Oregon, thanks to strong local funding and other support. Even before the decision was made to include urban trees, conducting the inventory required hundreds of federal and contract workers to fan out across the country to collect samples and check some 7,500 plots a year in natural forests. Wilson said Congress has yet to fully fund the program’s urban expansion, which is likely to cost several million dollars a year. He couldn’t say exactly when Las Vegas might be added to the effort. Barring a sudden influx of funding from Congress, that will depend on the level of local collaboration and literal buy-in. 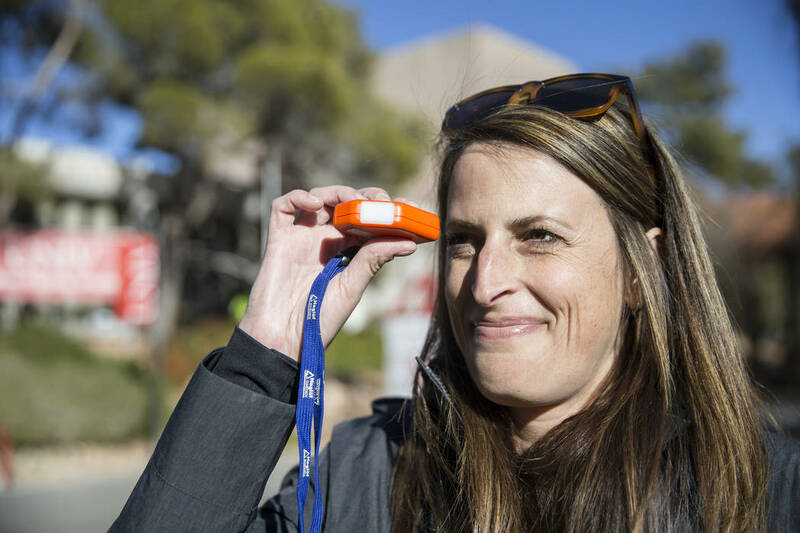 Once the inventory does reach Las Vegas, all the data collected here will be made available to the public to help inform everything from landscape design and urban planning to climate change research. 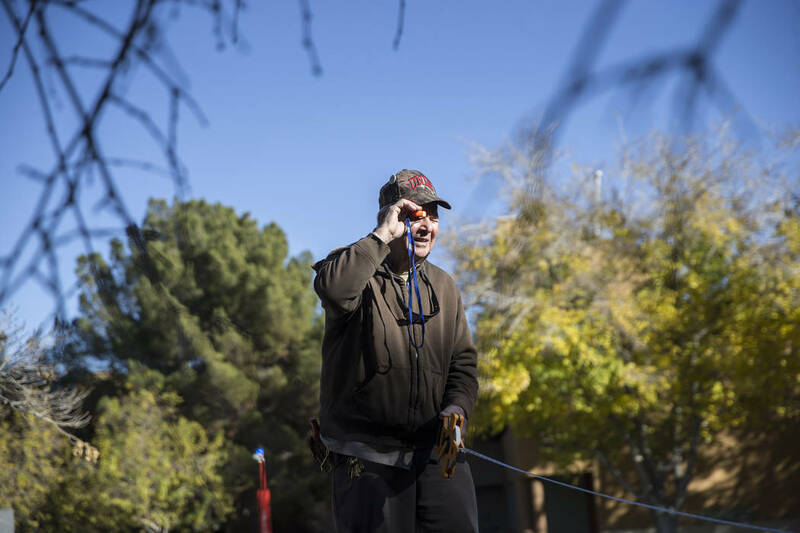 The U.S. Forest Service plans to one day study trees in Las Vegas as part of its annual national Forest Inventory and Analysis, which has expanded to include urban areas. — Five years ago, there were 117,059 trees from 262 species growing in public spaces in the Las Vegas Valley, Boulder City and Mesquite. — Three-quarters of those trees were of the broad-leaf, hardwood variety. The most popular individual species were the Mondale pine (14 percent of the total population), the Fan-Tex ash (9 percent) and the desert willow (5 percent). 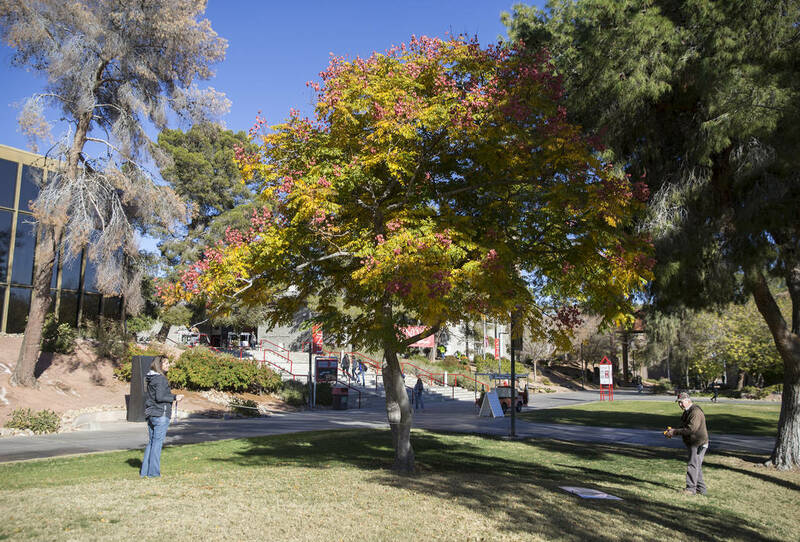 — The valley’s highest percentage of older trees were found on the UNLV campus, which also boasted the highest amount of trees in good condition at 83 percent. — Nearly half of Henderson’s trees were in the youngest age class, with trunks of 3 inches in diameter or less. 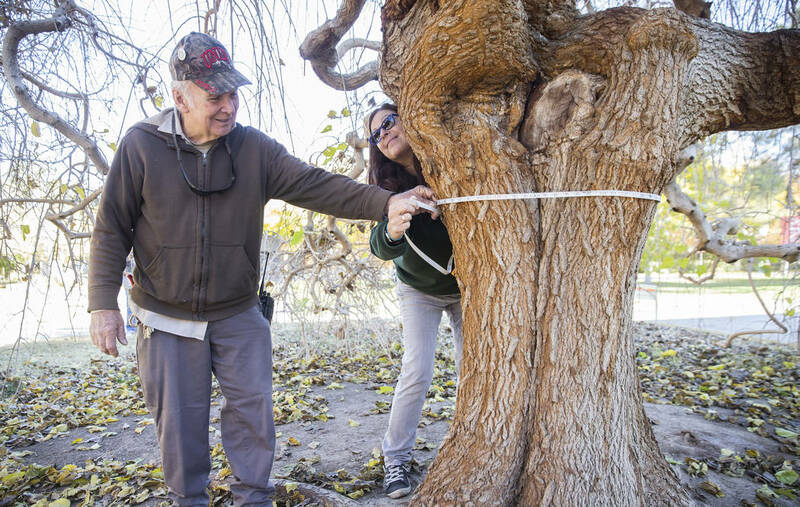 — Half of the trees in Boulder City ranked as large or medium size, the highest such percentage in Clark County. — Almost a quarter of the trees in Mesquite’s public spaces were palm trees, well ahead of any other community in the county.